Craft production and the products of craft have long been a main focus of archaeological research. From the admiration of achievement and the appreciation of skill in finished objects, focus has shifted to questions of how objects were made, and who it was that made them. Ancient technology has been investigated through the study of production sites, artefact studies, through archaeometry, and through experimental archaeology. 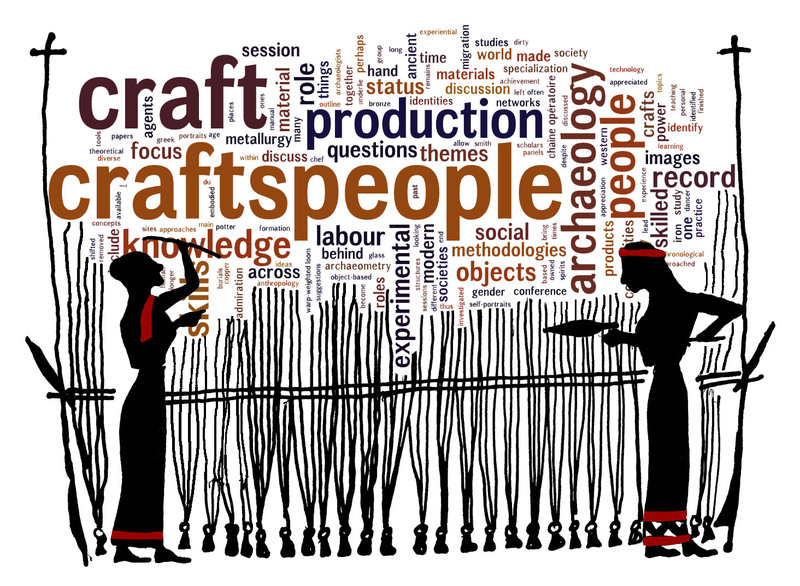 The role of people and communities in craft production has been approached through analysis of texts and images, analogies from ethnoarchaeological studies and attempts using experimental archaeology. Beyond the object-based studies, craft production has had a role to play in many recent themes in archaeology and anthropology, such as social structures, gender roles, specialization, state formation, migration, identities, and more. However, academic approaches to craft are often far removed from the practical knowledge and embodied practice of craft and skill in ancient societies, and biases towards ‘head’ over ‘hands’ need to be critically evaluated and acknowledged in the study of craft production. In this conference we want to explore ways in which we can approach craftspeople behind objects and find complexes in the archaeological record. How have craftspeople left marks on things, places, and times? What roles did they play within their communities, and can we trace their social status through the archaeological record? What methodologies are available to identify people behind material remains? How are craftspeople linked across geographical and temporal planes, how is knowledge and skill reproduced and transformed? To this end, we aim to bring together a diverse group of scholars to discuss the nexus craft – people – archaeology across a range of materials (such as lithics, ceramics, metal, textiles, etc. ), periods, and regions, incorporating evidence from prehistoric and early historic societies across Europe and the Mediterranean. We are planning on publishing, in due course, an edited volume based on a selection of papers and posters presented at the conference. How do craftspeople become visible? This session will include discussion of representations and images of craftspeople (both in a ‘real’ sense, e.g. images of craftspeople on Greek vases, Iron Age situlae, stone reliefs, and in a figurative sense, e.g. contemporary written sources). How can we follow the steps of the craftspeople and their skills? This session will discuss object-based approaches to craft production and craftspeople, e.g. looking at paths of learning, teaching, and knowledge transfer; the re-creation of techniques and skills in experimental and experiential archaeology; and a critical evaluation of methodologies that bridge the gap between objects and people. How can we identify the social position of the craftspeople through the archaeological record? In this session, the social setting of craftspeople will be explored. This will include questions about status; ownership of skill, knowledge, materials, and labour; the connections between gender and status on the one hand, and different types of crafts on the other hand; and specialization and organization of production.